Shannon first stepped on the mat in 2004 but believed there were signs much earlier on that she was meant to find the path of yoga. She had a bit of a rubber band effect with the practice for a few years until she realized that the physical yoga asana was just a lovely vehicle to learn more about ourselves and the world around us. Her true practice began when she found the teachers that inspired her to learn the wisdom of the practice that is derived from the inside out. Her teaching style is influenced by Master Teachers Devarshi, Gary Kraftsow, Tias Little, Judith Lasatar, Rod Stryker and Jason Crandall. Her training is ongoing with years of self study, intensives, and personal and professional practice. Her classes embody mindfulness over momentum. Shannon is the owner, founder and operator of Yoga Fever; a modern school of yoga that encompasses the traditions and roots of the authentic practice. Her dream was to bring a community driven, alignment based vinyasa practice to the contemporary hot space. Dean has been practicing yoga since early 2005, and received his RYT 200 in Ashtanga based Vinyasa in 2012. Dean teaches a variety of styles, including Vinyasa, slow flow, yin, pranayama, and meditation. His classes are known for their creative, challenging sequences combining fluid movements with an acute attention to engagement and alignment. His personal mission is create a welcoming space that feels casual, and compassionate. 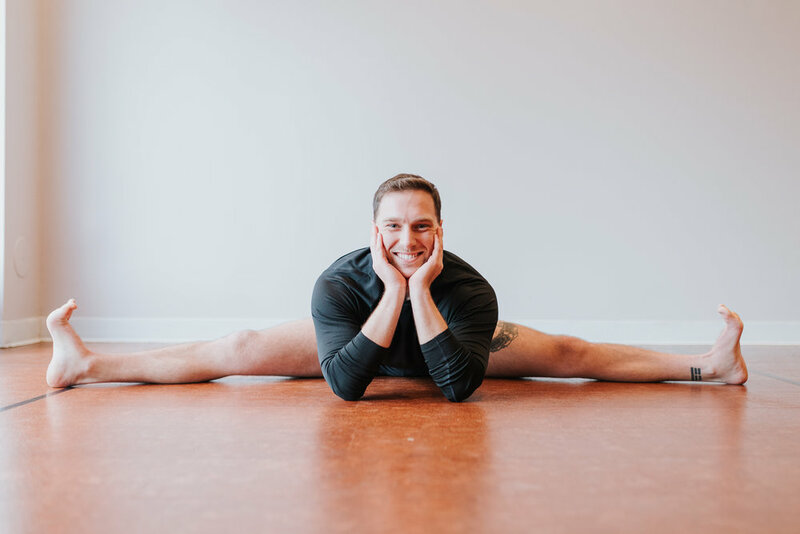 He injects a playful energy into every class he leads and strives to create a place where students can find happiness through movement and music. Helping others to explore the process of self-transformation, and to lead healthier, happier, more honest lives is what he lives for. Brittany started her yoga journey with her mother in 2010 as teammates pursuing a healthier lifestyle. As a gymnast, the joy of movement and health has always been an important part of Brittany’s daily life. She studied biomedical science throughout college striving for a future to heal through western medicine. Since she became certified to teach, her passion for yoga and holistic health and wellness have grown deep. After teaching nearly 300 classes in her first year alone, she witnessed the beauty and power of yoga to heal on both physical and emotional levels. Music and creative movement play a vital role in her classes; believing in balance, her classes are just as much yin as yang. They are known for being creative, playful and athletic but also relaxing and grounding! Brittany is an advocate for empowerment and self-love and channels these themes in her teaching. Jessica is a yoga and tantra teacher who specializes in feminine spirituality, sexuality, and embodiment. Her teachings are inspired by her travels, yoga philosophy, and her continued studies in Tantra, sacred dance, and feminine lineages of yoga. Inspired by her studies of mystical femininity, Jessica's teachings are deep, poetic, provocative, and soulful. She believes yoga is anything that enables us to feel like an empowered conduit of the divine. Expect to be led into a deep, soulful, and sensual connection with your body, heart, and mind. Gretchen's background is Ashtanga and Hatha Vinyasa, with special interest in Meditation and Yin Yoga. She believes everyone can benefit from a yoga practice and pausing to connect to breath. The connection to breath locates us in the present moment and connects us to our life force. As an artist, yoga guide and student, G is here to create beauty and lead others to recognize the beauty in their lives. Working as an artist, she pursues color, light and form in mixed media on canvas. Her art background informs her yoga teaching and invites students to be creative and inspired in their practice. Sharing the physical practice of yoga is an invitation to all to see themselves through a lens of acceptance and appreciation of their unique qualities. Mary is passionate about sharing her love for yoga with others. Her teaching approach is to make this practice accessible for every student, whether they are a beginner or an advanced practitioner. She graduated from the 200-hour yoga teacher training with Mimi Ray and devotes her time and energy to create helpful ways to make yoga accessible for every body. She has had the opportunity to teach corporate yoga classes, private parties, one-on-one private lessons and classes open to the community. 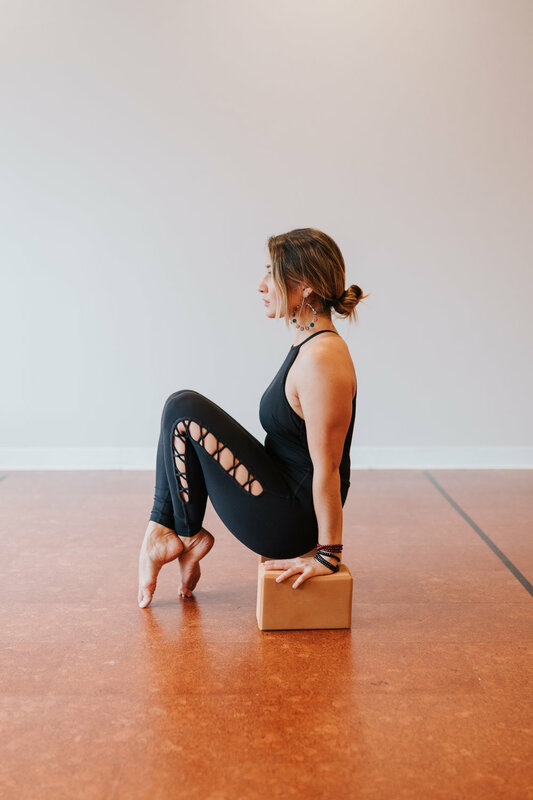 Through her Vinyasa style teaching, she likes to challenge her students physically and open their minds to a deeper level of self love, awareness, and body confidence. Her goal is that every student leaves class with a sense of accomplishment and success. Brooke began her yoga journey early on in a pursuit to manage stress and emotions from the daily life through movement and mindfulness. She was attracted to the hot vinyasa style of yoga due to her passion for physical exercise driven by adolescent sports, but it was the mindfulness attribute that evolved her unending love for the practice. Brooke completed her 200-hour yoga teacher training through Yoga Fever with Shannon Austin. Her passion behind teaching is to share the benefits of yoga that extend far beyond the mat. She strives to create an environment that is accepting and safe for individuals to explore themselves physically and mentally in their own space within the community that supports them, and a class that leaves them feeling refreshed and grounded. “Life is about balance, and yoga has been a way for me to bring balance back into life when my pendulum has swung to one extreme or the other.” Regina teaches a vinyasa flow that creates a space that encourage curiosity and exploration for yogis to link their breath and the movement of their body; to reconnect, become aware, make space for whatever lies within and be present for the entire experience. “Get on your mat, breath, flow, get messy, fall apart, and begin again,” because it’s a practice of progress, and not perfection. Natalie’s love for yoga started about 4 years ago when she went to her first class trying to find some kind of physical activity that she actually enjoyed. From then on it has gone from what she thought would be just another form of fitness to something that has given he an astounding amount of acceptance and appreciation for her body and what it is capable of. She recently graduated from Yoga Fever Teacher Training and is passionate about teaching yoga to her friends, family, and community. She hopes to highlight all of the doors a yoga practice can open not only for the body but for the mind. Wren graduated from Yoga Fever Teacher Training and is a Registered Yoga Teacher with Yoga Alliance. She took her first yoga class with a friend in 2011 and immediately felt the freedom and benefit that yoga provides. It quickly became a necessary practice to ease stress and a great teacher to learn how to relax. In the years since then, Wren has enjoyed sharing yoga with her family and friends. She desires that people feel safe, challenged and have fun in her classes! One of the greatest lessons for her in yoga has been that of compassion and slowing down, and she hopes to impart this to others. When not doing yoga, Wren enjoys going to local music concerts with her husband Charlie and hanging out with any of her 11 siblings. Lauren took her first yoga class here in Grand Rapids with a group of friends just to try something new. She loved the ways it challenged her: all of the core strength needed, her body’s response to the heat, the necessary mental aspect that connects breath to body. Her practice evolved from taking sporadic yoga classes to managing a studio in Berkeley, CA. She received her 200hr teaching certificate at CorePower Yoga in Chicago. Expect to practice the mindfulness of yoga with emphasis on alignment during intensely physical flows in Lo’s classes.